Star Wars Celebration kicked off today with it being claimed the Episode 9 title has leaked online ahead of tomorrow's panel along with a poster. We are hoping for footage from both Episode IX and the Mandalorian as well as getting the Episode 9 title for the final theatrical installment of the Skywakker saga (Ep. 9.). "We will take a pause, some time, and reset", Iger told Bloomberg. 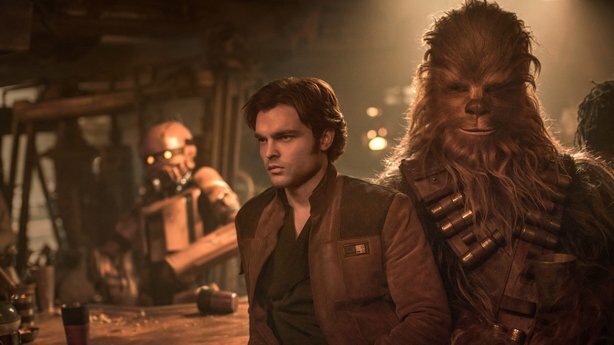 It was also confirmed that the series would be the first of the Star Wars live-action shows to be available to watch on Disney's streaming service, with showrunner Jon Favreau adding that they're now putting the finishing touches on the project. Beyond that, there's the 20th Anniversary of LEGO Star Wars (Yup, the first sets were from Episode I), a first look at EA's Star Wars Jedi: Fallen Order and much, much more! Star Wars: Episode IX, directed by JJ Abrams, is due for release on December 20, with Disney+ set to launch in the US on November 12. However, there are two film franchises that are now in development. A convention for fans to gather and celebrate everything Star Wars, there aer also events and panels throughout the weekend to tease new content. These new movies likely include The Last Jedi director Rian Johnson's stand-alone trilogy, as well as another trio of films from Game of Thrones' David Benioff and D.B. Weiss. Iger said as far the immediate future is concerned, Lucasfilm will be focusing more on TV projects. But in the light of the new TV spin-off plans for Disney+, including Jon Favreau's bounty hunter series The Mandalorian, and a new series starring Diego Luna as Rogue One's Cassian Andor, perhaps there is a danger of over-saturation of the galaxy far, far away.